I’m super excited to launch a new series on my blog called “Getting to know… a fellow blogger”!!! As I said in my intro post, I’ll be featuring a fellow blogger that I admire by asking them a series of questions that will hopefully introduce you to them or allow you to get to know them better. 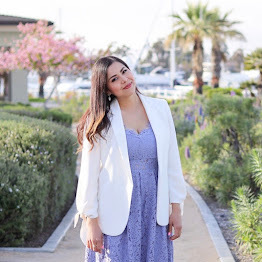 This week, for the debut of this series I wanted to feature my fellow San Diegan blogger Amanda from LovelyShopGirl. I love her blog because it covers an array of subjects such as beauty products and fashion posts with her great personality and humor. You can also see her awesome tutorials and hauls on her youtube channel www.youtube.com/lovelyshopgirl. LovelyShopGirl: I started LovelyShopGirl in December of 2010! It's almost a year old! 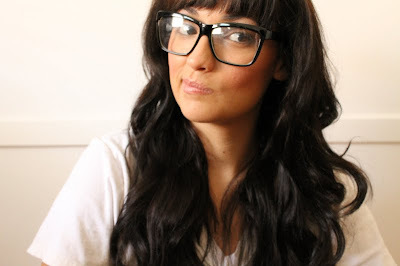 LovelyShopGirl: Originally, I created my blog with the intention of using it as a way to complement my Youtube channel. However, over time it's turned into a whole different project that stands on it's own. If you read my earlier posts, a lot of them were centered around my channel, but I was bitten by the blogger bug and now I find myself coming across new pieces and asking "would this be a good fit for my channel or for my blog?" Basically, my blog is just a great creative outlet for me. LovelyShopGirl: I am inspired by so many things! Nature inspires me. I love florals, pastels and even animal prints. There's no way I could ever wear a floral pattern and not feel girly and pretty on some level. I love to wear earthy tones and accessories that are made of beautiful stones or leather. Things like that can be so basic, but really make a statement. Music is another huge, huge influence. I listen to music whenever I'm getting dressed for an OOTD or editing a new post because music transforms where I'm at in my mind. 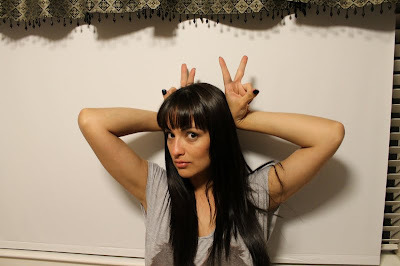 Sometimes when I'm being photographed for my blog, I even catch myself humming or singing a certain song in my head. Music may be the reason why my style is so all over the place! My biggest influence of all: my culture. LovelyShopGirl: When I'm not blogging, I am a domestic goddess :) It's a little funny to me because, when I'm not in heels, I'm elbows deep in a sink of dishes or i'm watching SpongeBob with my daughter. I'm actually a very introvert woman. If I could spend a day doing whatever I wanted, I'd walk around LA and The Griffith Observatory...alone. I love being alone and reading, doing my nails, texting and checking my twitter. LovelyShopGirl: I love the support that comes from all of my fellow bloggers. I can't get over how great everyone is, and that they truly want each and every blogger to succeed. I encourage anything that brings women together and unites us on a certain level and I believe blogging really does that. Blogging has also pushed me out of my frumpy sweats and forced me to really make an effort to look good. As a mother, it's so easy to forget about doing things for yourself. Through blogging, I take the time to dress up, do my makeup and smile for a camera. LovelyShopGirl: The more you blog, the better you get. Just like anything else, practice makes perfect, which is why my latest blog post "Dusty" is my favorite. I really took my time with that post and I think it really shows. LovelyShopGirl: In a year I hope that LovelyShopGirl has impacted someone out there in some way. Hopefully other mothers out there can be inspired to take time for themselves or maybe I can inspire someone to embrace their curves. Whatever the case, I'll take what I can get! LovelyShopGirl: A successful blog is one that is unique to that person's personality while still maintaining a professional feel. I don't care if you have 5 followers or 5 million, "success" is measured by your hard work and the effort you make. In my eyes, I'm the most successful blogger out there! That's because I'm having a great time doing it and I've made great relationships along the way. Doesnt get any better than that. LovelyShopGirl: Two words: Do you. No one wants to read a blog that is an exact clone of a blog they read yesterday. Be yourself and I promise people will see that and have an appreciation for it. Two words: Be patient. You wont reach a million followers overnight! LovelyShopGirl: I just want to thank all of you Latina bloggers out there who have made me feel so welcomed into the blogging community. I have never met such sweet, supportive and beautiful women in my life. YOU inspire me....every day. Awww that's my buddy love her and her blog!! I enjoyed reading this post and can't wait for more! Love this post! She is such a lovely girl! My favorite was her quote about blog success. That is so true. If you can inspire just one person, it doesn't matter how many followers you have! Great post and great idea! Glad to know about her! Great blog. Pictures look amazing. I love all of the pictures. I am very inspired by nature too and I love floral prints. I don't know about being elbow deep in dish water, that is my least favorite chore! Great post!She looks very beautiful!